This file photo provided by Columbus Zoo and Aquarium shows an Asian elephant, born Thursday, Dec. 6, 2018 in Powell, Ohio. The zoo said the baby elephant, the first born at the zoo in nearly 10 years, died Wednesday of a sudden illness. The Columbus Zoo and Aquarium says an elephant born three weeks ago has died. The zoo says the female Asian elephant died Wednesday after a sudden illness. The zoo's veterinary team says that the elephant appeared sluggish Wednesday morning and was found to have an infection. The team gave her fluids, antibiotics and blood plasma from her mother. She initially seemed to rebound but then her health declined again. 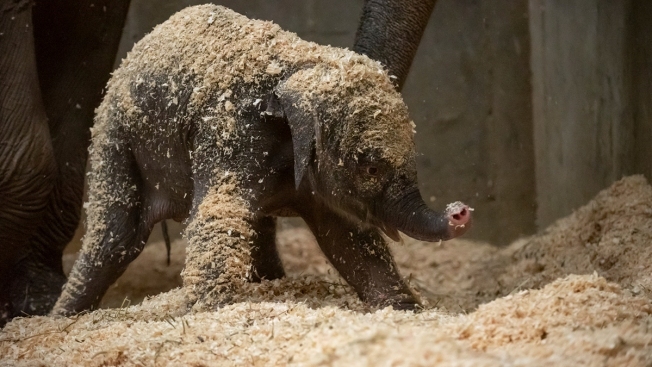 The zoo had not yet named the elephant who was born on Dec. 6. It was the first elephant birth at the zoo in almost 10 years. 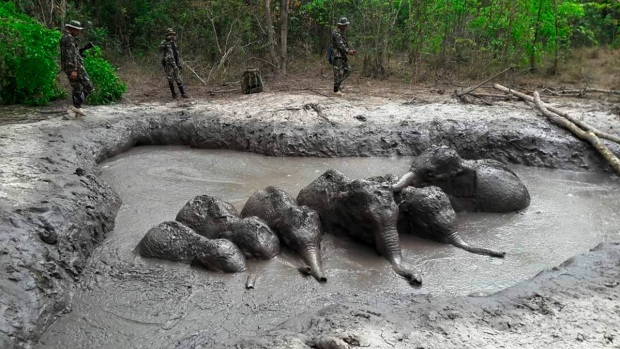 The elephant was born to a 31-year-old Asian elephant named Phoebe who was artificially inseminated with sperm from two elephants, one at the Columbus zoo and one at another zoo.